Robert Renwick is the founder of Interintell. 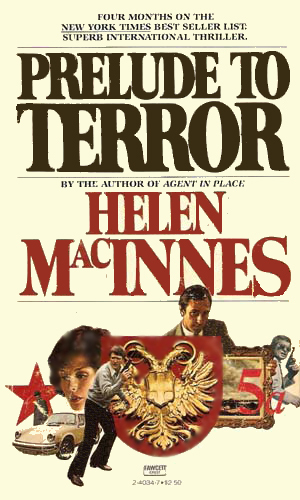 Several years before the start of the series, Renwick, a former agent with NATO Intelligence, conceived of an agency dedicated to fighting terrorists. With the backing of the members of NATO, Renwick created the International Intelligence against Terrorism, more commonly called Interintell. This small department is headquartered in London because Europe was having more trouble from terrorists, thus far, than the U.S. The main purpose of the agency was to act as a general clearinghouse of information between the many covert departments in the West. It was staffed largely with agents who, like Renwick, got their start with NATO. Renwick’s specialty in the fight against terrorism was following the money but even in that he was focused on an important subset. Most of the people at the time striking out against the establishment were small groups of radicals, banding together to fight some perceived wrong, robbing a bank or kidnapping a rich man or exploding a bomb to get their grievances known. Being small, they usually did not last long either from getting tired of it or internal strife or, most commonly, getting caught. Renwick did not worry about these. Normal law enforcement was quite capable of handling them. Renwick went after the bigger fish, the truly organized bands. It were these others that recruited their fighters from various countries, sent them to far off lands like North Korea or Libya or such to train and learn their craft, brought to Europe when the time was right, and made them able to fit in. Often these fighters were not given jobs for fear of being found out. Still, they needed money for the long travels they do, for the decent clothing to blend in, for housing and food and whatnot. Their supplies have to be purchased from somewhere and transported to the scenes of the action all without being noticed. These types of enterprises require a great deal of planning and, inevitably, a lot of money. That was Renwick’s expertise. Though Renwick would like to tell others that he was just a way station for intel or a conduit for the facts to get to the people who did the fighting, Renwick and his people knew sometimes you had to get your own hands dirty. Renwick, with his many years of experience, knew how to do that and survive. When Colin Grant agrees to help acquire a famous painting which is being smuggled out of the Iron Curtain, the New York art expert had no idea of the trouble he would be involved in. Luckily, Robert Renwick steps in to help. A terrorist group, tired of being hurt by a government agency, has a plan to wreck their revenge. It entails using an innocent woman who has no idea she is being duped. Robert Renwick has to wonder how deeply she is involved. Robert Renwicks knows his options are greatly limited when he hears his name is on the top of a list of targets for a terrorist who had just broken out of a foreign prison. 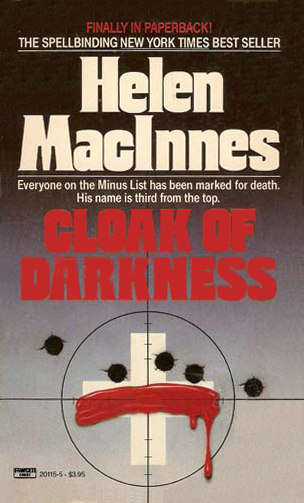 From the first book I read of Ms. MacInnes in the early 70's, I was a fan. 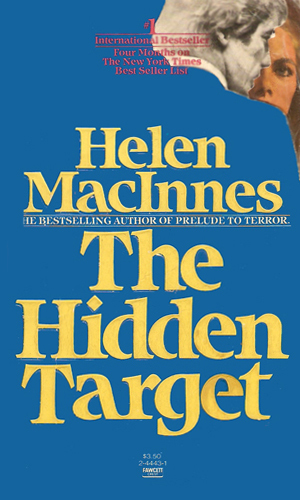 I picked up one of her books because her name placed her books next to Alistair MacLean and the books seemed to have some similarity. I'm sure that helped her sales but I would have never bought more than one book if she hadn't been so darned good. I bought many more of her work. I regret that she created the character of Renwick at the end of her writing career and not sooner. I'd have enjoyed more about him. He is solid, dependable, interesting, and his missions are great reads, especially when done by such a expert wordsmith as Ms. MacInnes.